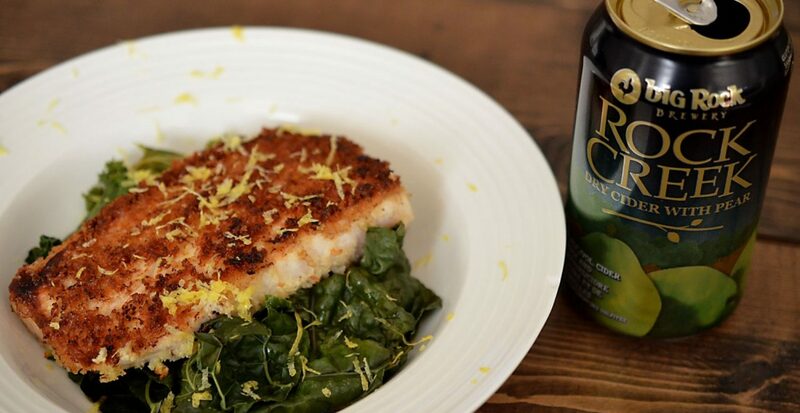 In a large shallow dish place the Mahi Mahi fillets, top with lemon slices, and pour the cider overtop. Marinate for an hour, turning occasionally. Preheat a large skillet over medium-high heat. Add the oil and heat until it hot. While oil is heating, pat the fish dry and season with salt and pepper. In two separate dishes place the egg mixture and panko bread crumbs. Dip the Mahi Mahi fillets first into the egg mixture and then the panko, ensuring they fillets are fully coated in egg before dipping them into the Panko. Place the Panko coated fillets immediately into the pan. Move quickly with all the fillets to ensure they all start cooking at approximately the same time. Cook for 2-3 mins a side, depending on the thickness of the fish, until they are solid white throughout and easily flake. They should have an internal temperature of 120F.